Got an iPod or similar music player? Got Windows 7 on your PC? (Harder question) Got a mini stereo jack to mini stereo jack cable? 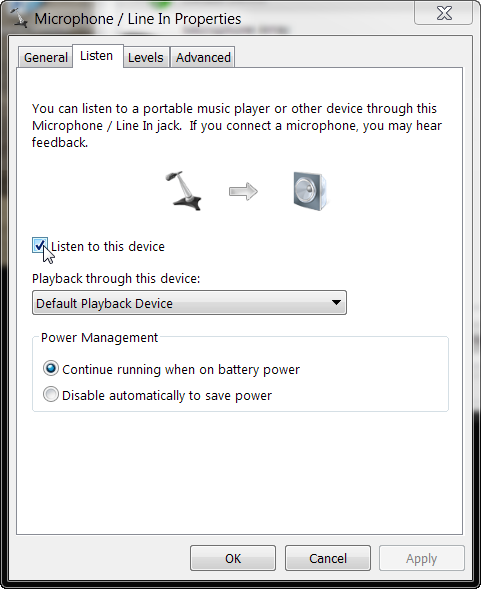 Plug one end of your cable into your iPod and the other into the microphone socket of your laptop. My hardware causes an interrupt and the driver asks what kind of device I've plugged in. I selected LineIn. Click Apply and you will be able to listen to your music player through your laptop speakers (along with all the pings and dings from your email/IM/Twitter app). I must admit this was hard to find at first. 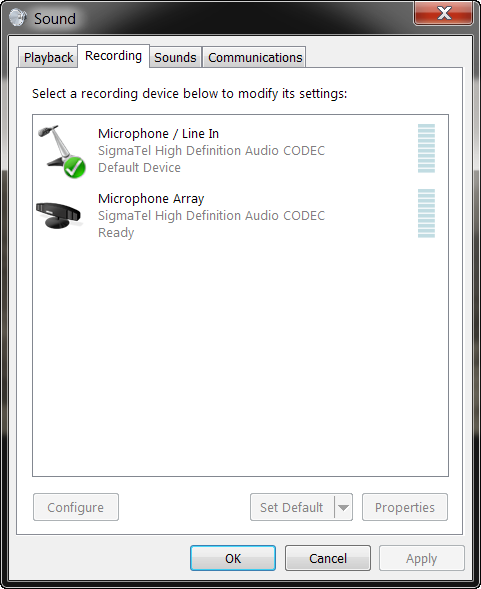 I got the hint from Larry Osterman's blog post on the topic where he calls it "Monitor capture".